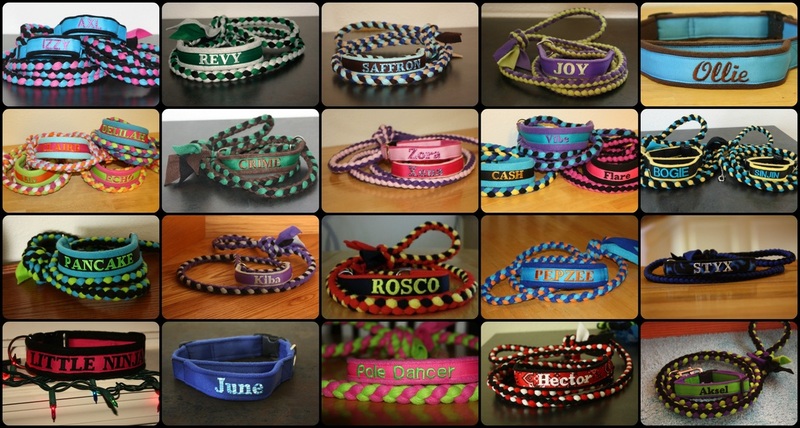 We can monogram your dogs name, put a saying or a symbol on the collar and you can also do the same on the fringe of the lead. Solid color ribbon allows the name to really pop out but as you can see in some of the examples above the right patterned ribbon looks very nice as well. We use strong, high quality thread and each letter is tightly sewn into the ribbon, there are no loose threads. PLEASE NOTE: When placing your order it is your responsibility to review your order prior to making payment, your products will be made exactly as specified on you order. If you made a mistake please e-mail us promptly so we can make changes if needed. Click on the product below you would like to order to be taken to the request form.